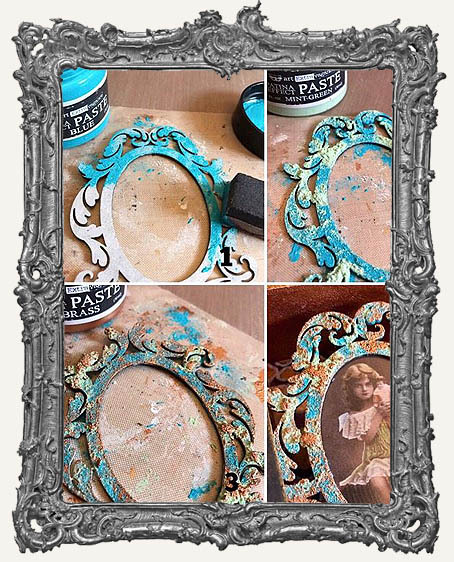 * Achieve a patina-like finish on projects. 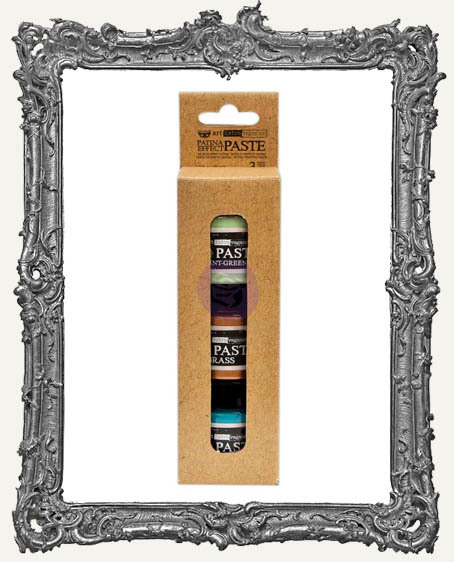 Includes 2 opaque, thick pastes with a matte, verdigris-like finish. The third paste offers a copper metallic finish. Hard and permanent, yet flexible when dry. 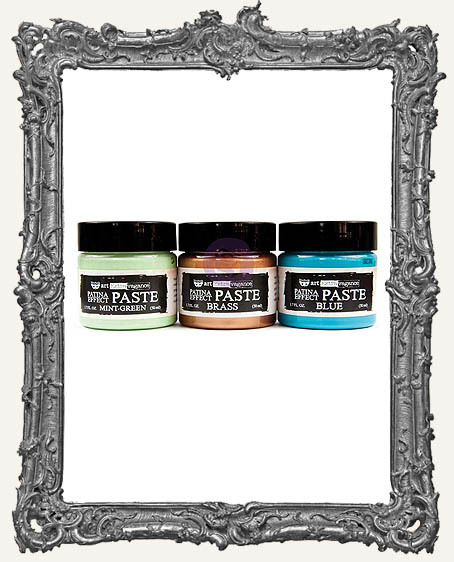 Apply with a sponge, palette knife, texture tool or paintbrush. Water-based, archival safe and non-toxic. * Mint Green, Blue, Brass; 1.7 fl oz each.